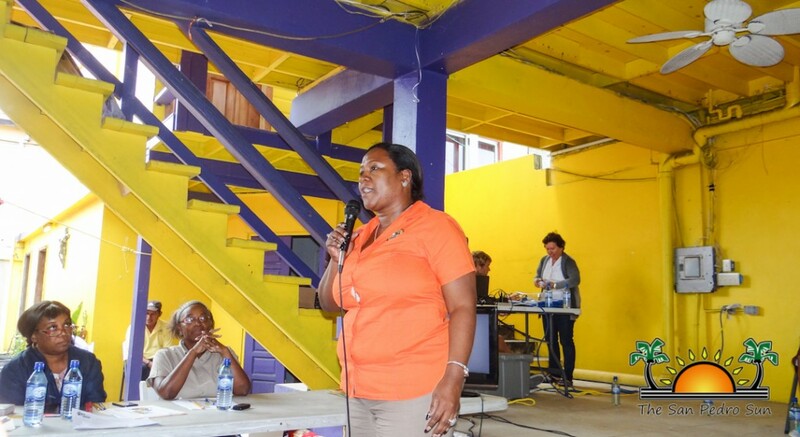 It was time to spell again as the Ministry of Education, Bowen and Bowen Limited and Ambergris Caye Elementary School hosted the 22nd annual National Coca Cola Spelling Bee Zone Eliminations. 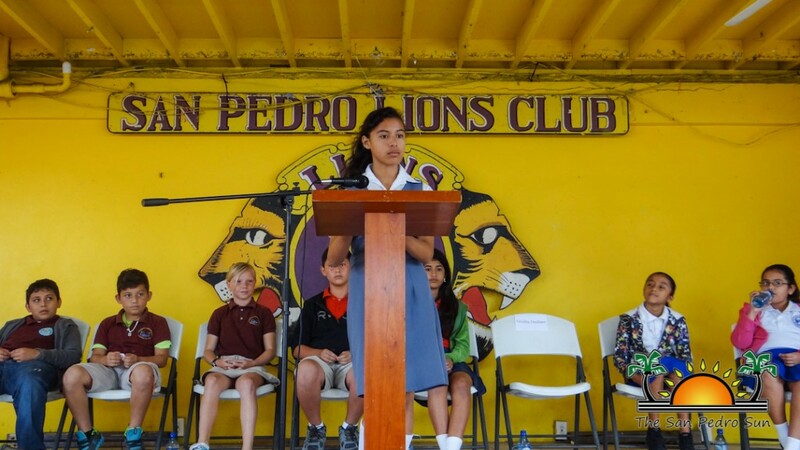 Top spellers from eight primary schools from across San Pedro Town and Caye Caulker Village participated in hopes of representing Zone 5 at the Regional Tournament to be held in Belize City. 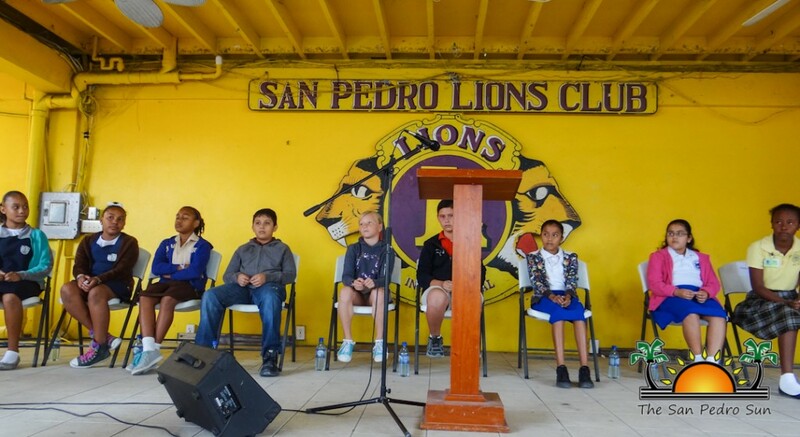 The Zone 5 Eliminations took place on Thursday, February 25th at the San Pedro Lions Den, with 16 bright contestants testing their spelling skills. But after four rounds, it was Aiesha Moriera from New Horizon Seventh Day Adventist School (NHSDA) and Andrew Novelo from La Isla Cariñosa Elementary School (ICES) who took the honors. 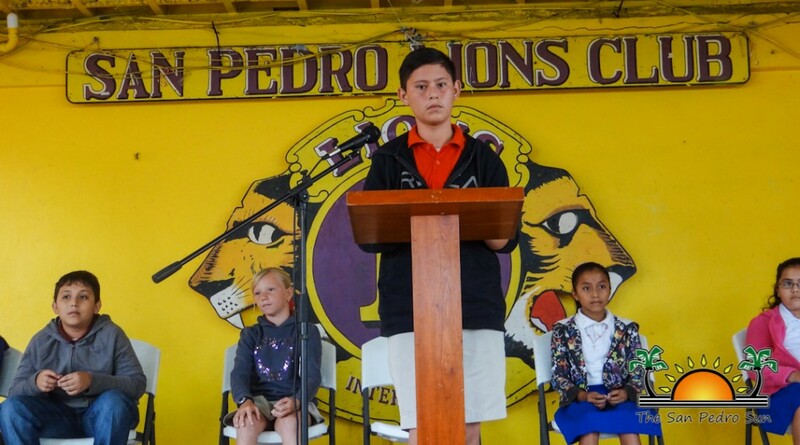 The Spelling Bee Elimination Contest started shortly after 10AM. 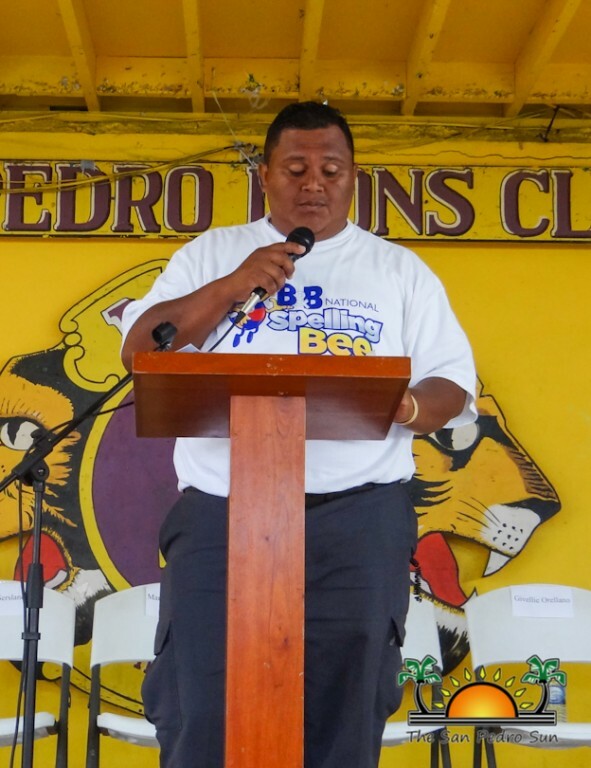 Following the singing of the National Anthem and a short invocation, Councilor Ruben Gonzalez officially welcomed those in attendance. “The art of spelling words has always been interesting. 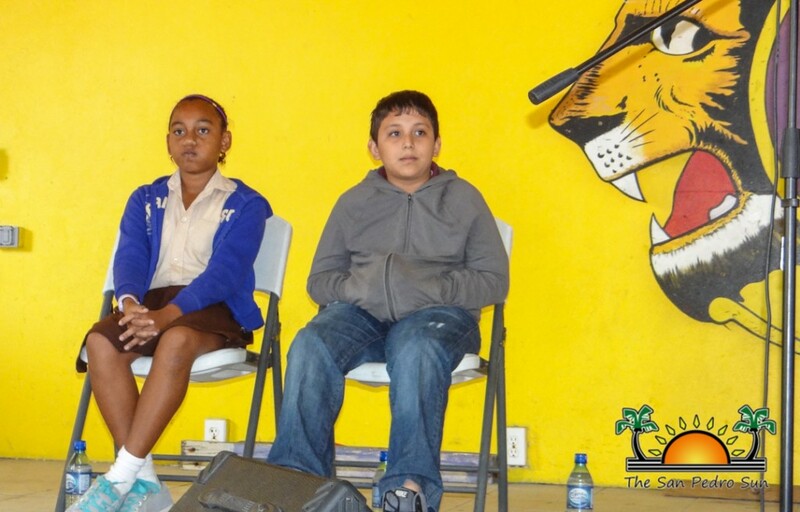 The National Spelling Bee Competition provides our young intellectual minds with a forum to test their spelling abilities. I encourage all students to get into spelling. 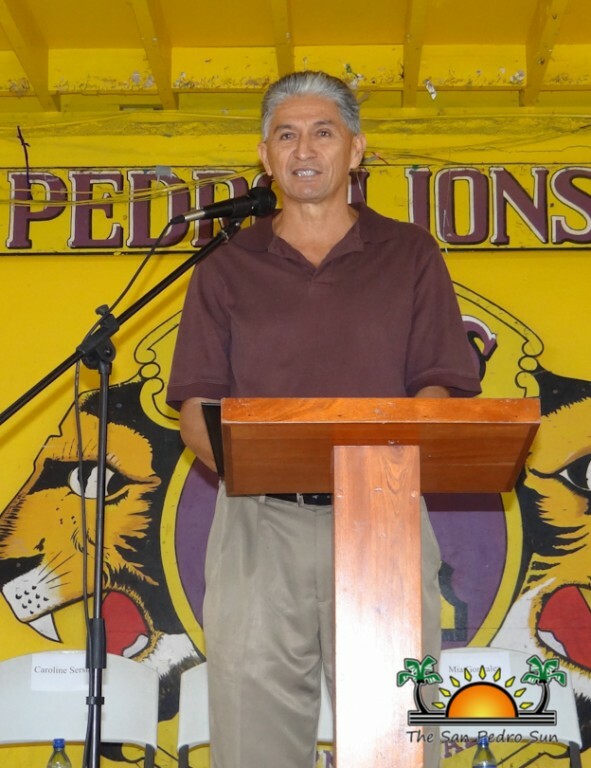 Letters and words are the building block of literacy and we can always do better,” said Gonzalez. 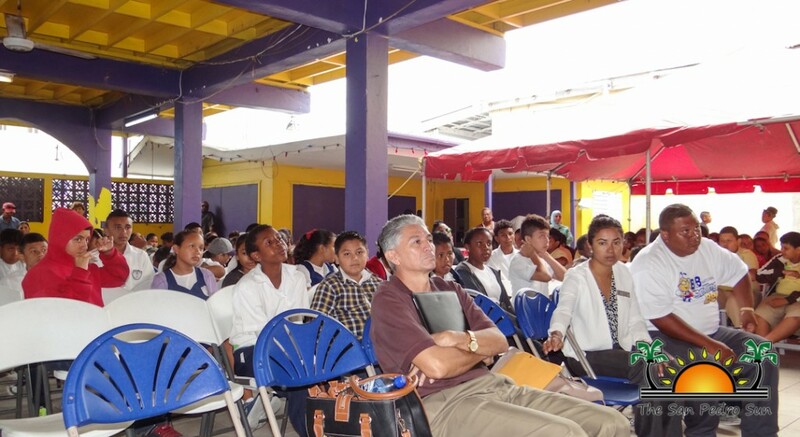 Giving the opening remarks was Bowen and Bowen Limited representative, Luis Barredo. 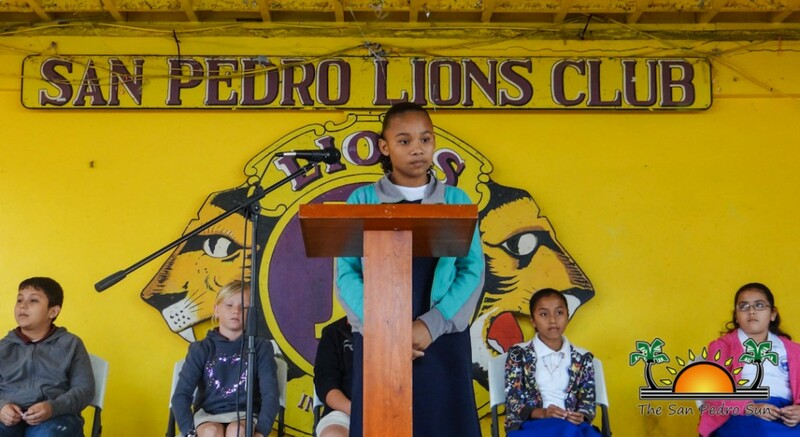 “Bowen and Bowen is always pleased to see young minds using their skills and abilities in friendly competitions to represent the best of themselves, their school and their community. The Spelling Bee assists students in their spelling skills and reading comprehension. 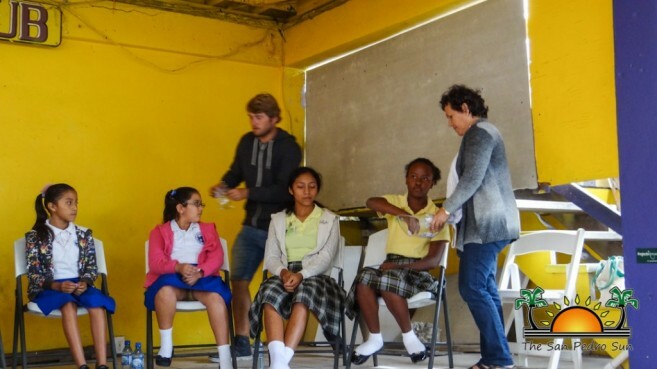 This brings students from across the country together to spell and motivates them to succeed in life,” said Barredo. Participants were then called on stage. 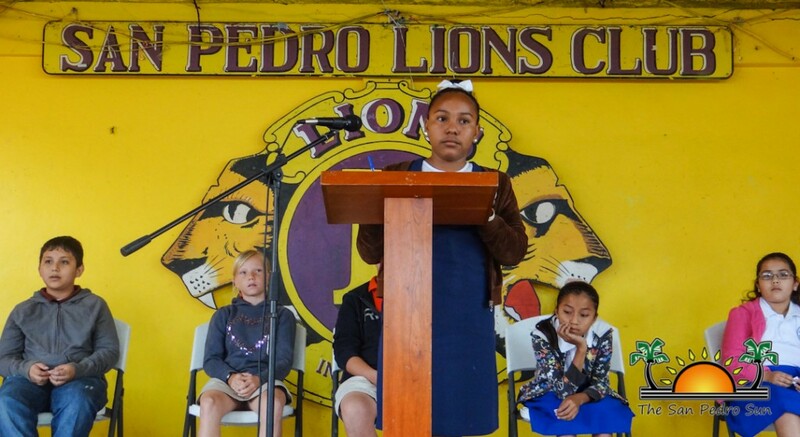 Taking part in this year’s spelling bee were Jasmin Galvez and Yaire Castañeda from Ambergris Caye Elementary School (ACES), Valerie Marin and Lupita Aldana from Caye Caulker Roman Catholic School (CCRCS), Givellie Orellano and Kaiden West (out sick) from Holy Cross Anglican School (HCAS), Mia Gonzalez and Mariano Calderon from The Island Academy (TIA), Caroline Sersland and Mark Haramouch from Isla Bonita Elementary School (IBES), Andrew Novelo from ICES, Aiesha Moriera and Jamileth Beltran from NHSDA, and Ninel Pacheco and Ayanna Staine from San Pedro Roman Catholic Shool (SPRCS). 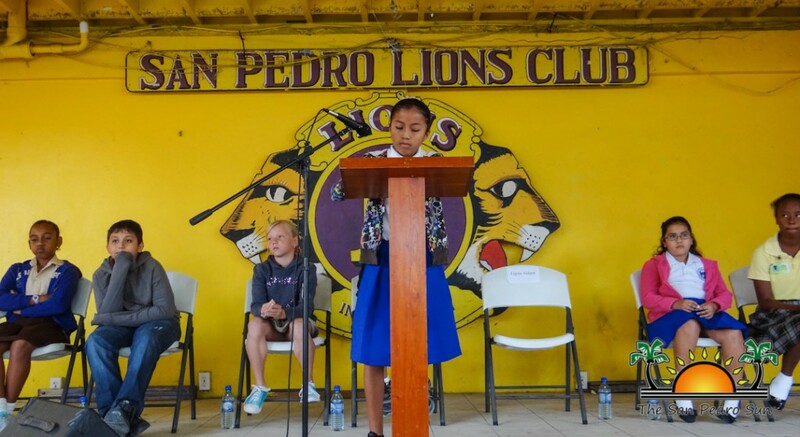 The contest begun immediately after their introduction, with each participant spelling two words out of the regular list in the first two rounds. The first set of eliminations were made at the end of the second round, with Yaire Castañeda, Givellie Orellano, Mia Gonzalez, Mark Haramouch and Jamileth Beltran being eliminated. Heading into the third round, each of the remaining spellers were given two words to spell out of the reserved list of words. Eliminated in this round were Jasmin Galvez, Valerie Marin and Caroline Sersland. The final round would decide the top two spellers as well as an alternate. 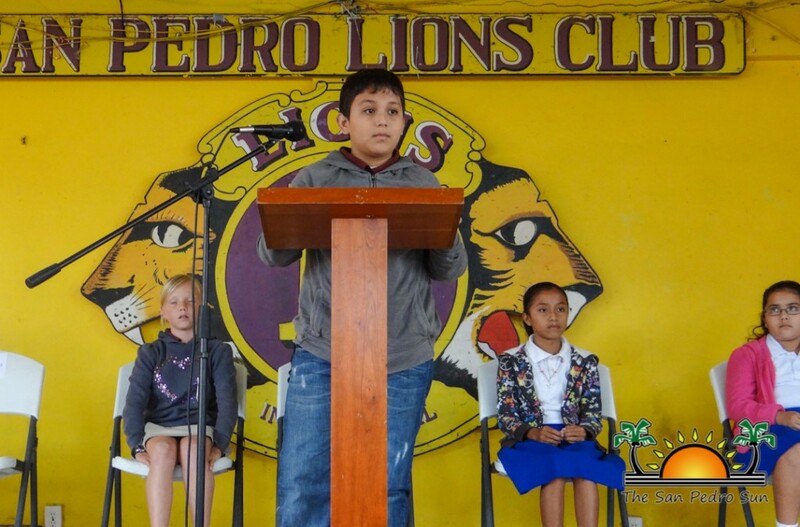 Unable to properly spell their two given words in the round and eliminated were Lupita Aldana and Mariano Calderon. This left Andrew Novelo, Aisha Moriera and Ninel Pacheco to complete for the top places. 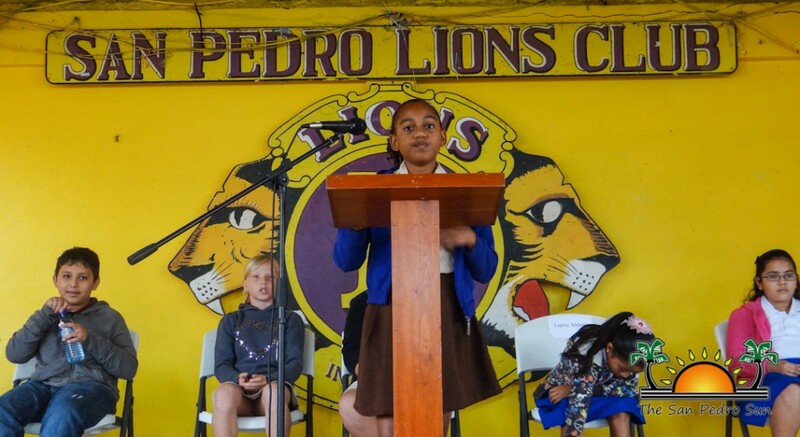 In the end it was Aiesha Moriera who rose as the winner, correctly spelling all words given to her throughout the tournament. In second place was Andrew Novelo, who only missed one word in the entire tournament. 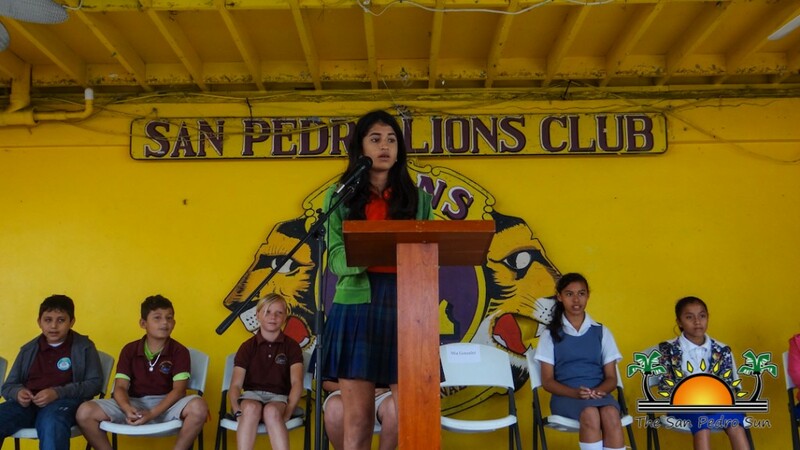 Taking third place and an opportunity to represent Zone 5 at the District Elimination if one of the two top contestants cannot attend, was Ninel Pacheco who only misspelled two words in the entire competition. 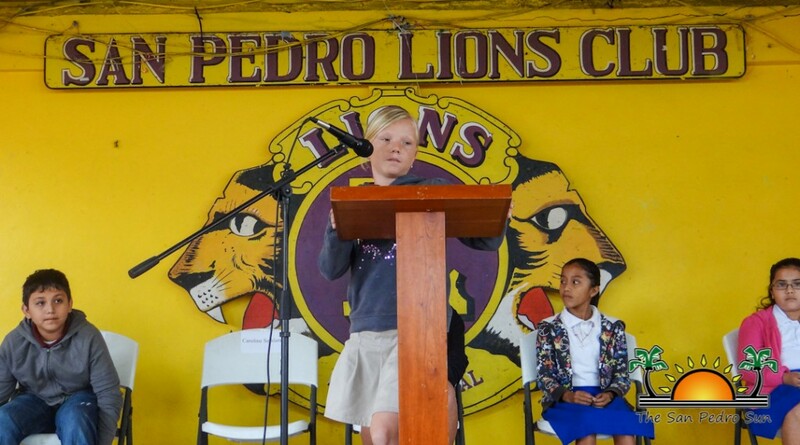 Following the competition, each participant was presented with a certificate of appreciation, while the top two spellers got a trophy. 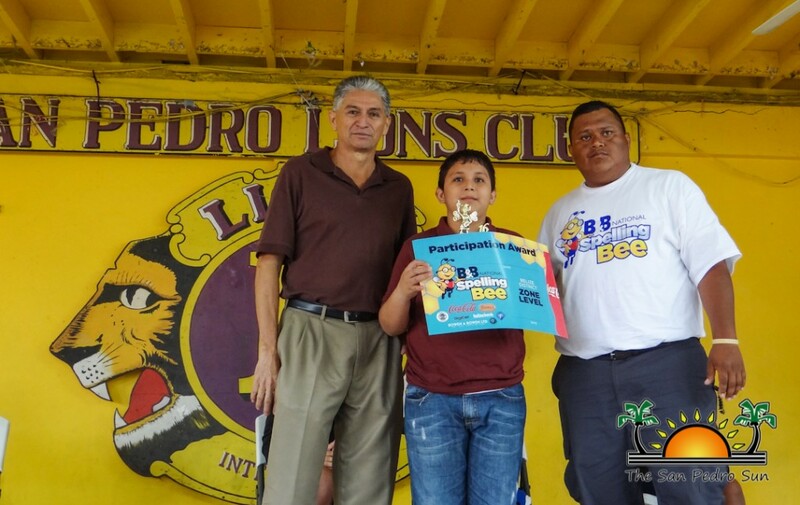 Both winners expressed how happy they are of their accomplishment, and they thank all who helped them in their studies. 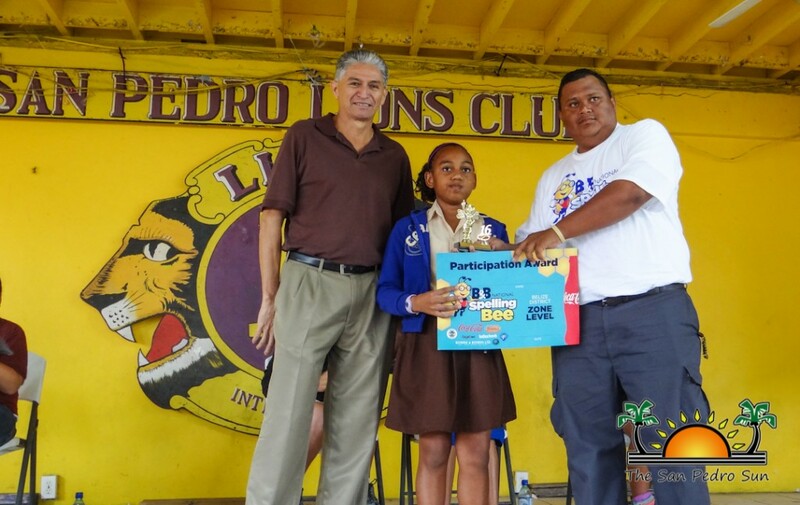 Moriera and Novelo now move on as representatives of Zone 5 to compete in the Belize District finals, which is scheduled for March, 2016 in Belize City. 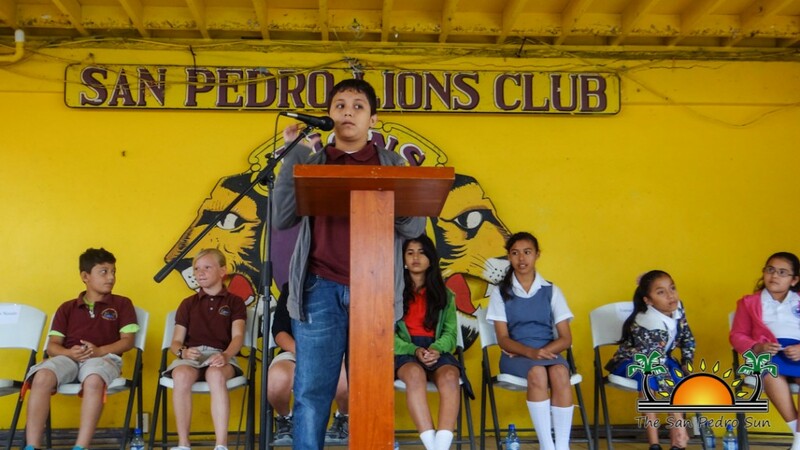 Only two spellers from the district, along with an alternate speller will move up to the national competition scheduled. 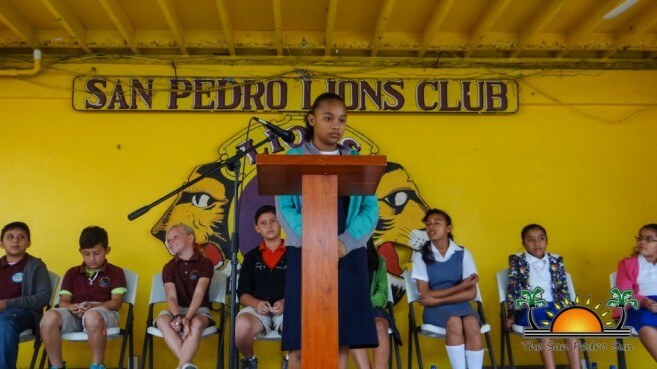 The San Pedro Sun congratulates all participants and takes the opportunity to wish Aiesha Moriera and Andrew Novelo all the best in the district finals.